According to the developer's Tweets , the bug used is a stack uninit read yielding UaF and the actual exploit does nothing but give you read/write/infoleak arbitrary JS object primitives. 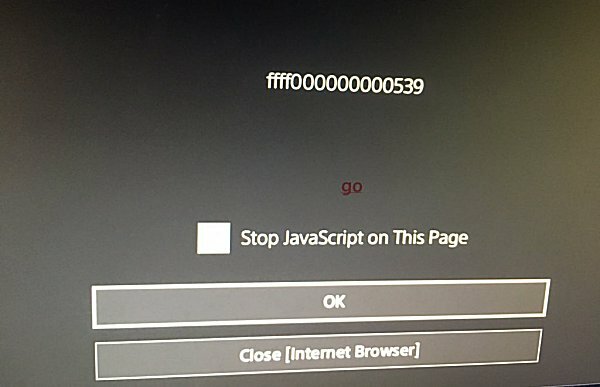 He also confirmed the exploit won't work on PS4 4.50 as Sony updated WebKit past a vulnerable version unfortunately, but it's still an entry point for those on PlayStation 4 OFW 3.55 through 4.07. 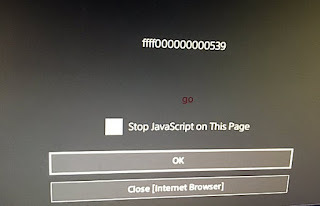 That said, if you give it a try on a PlayStation 4 under 4.50 and receive a ffff000000000539 error prompt it's expected output for the exploit's success.